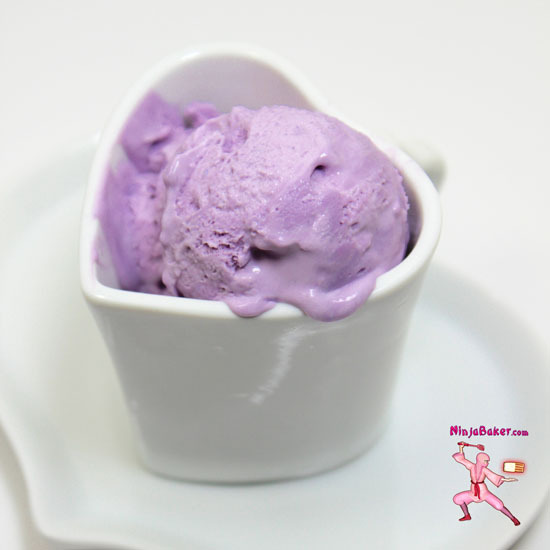 Lavender calms the nerves…Ice cream infused with lavender and honey is the perfect dessert for a DYI spa day. This recipe is adapted from Epicurious.com. The lavender oil is not necessary to create this divine dessert. However, if interested in obtaining lavender oil, click here. Stirring often, bring the cream, half-and-half, honey, dried lavender, drops of lilac candy coloring and lavender oil to a boil. Keep a medium flame / heat under the saucepan. Remove the pan from the stove. Cover with a lid and steep for 30 minutes. Pour the mixture through a sieve into a bowl. Toss the lavender remnants. Into a clean saucepan, heat the strained mixture over medium heat. Turn off the heat while you whisk together the eggs and salt in a large clean bowl. Once again, strain the contents of the saucepan through a sieve into a bowl. Cover the mixture with plastic. Freeze overnight. Take the bowl out of the freezer about 20 minutes before churning per the instructions of your ice cream maker. Transfer the lovely lavender ice cream to a Tupperware (or similar) bowl and store in the freezer….Unless family and friends dive in first!